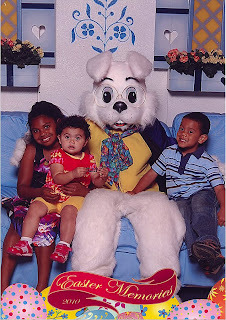 Ran over to the Oaks Mall and had the CA baby grands' picture taken with the Easter bunny. Literally ran; they were closing an hour from the time we thought about going and this was the only day we could do it. Leia thought the bunny was wonderful - right up until someone plopped her on his lap. She wasn't happy, even with Naia holding her. This is the only picture in 8 (9, 10??) shots that was usable. But aren't they cute? Happy Easter! 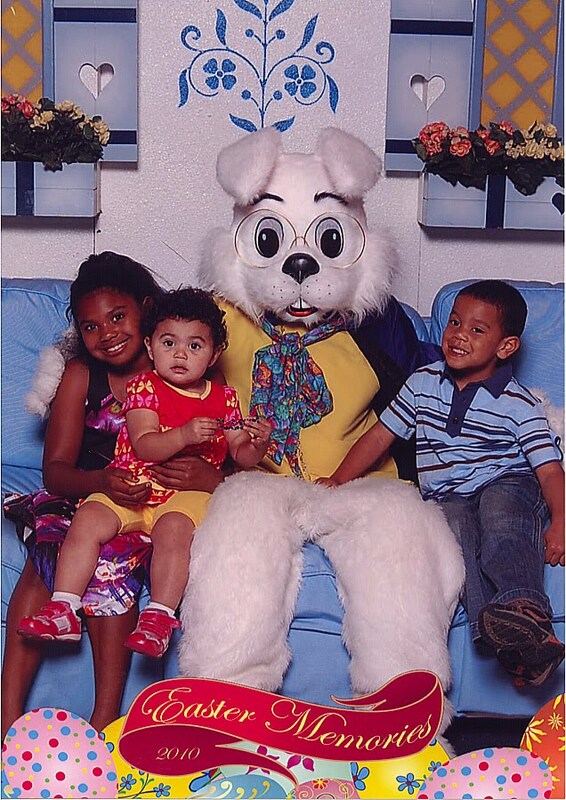 well, that bunnies face kind of freaks me out too. So, I don't blame her for getting a bit anxious.